PPIs basically cut down on how much stomach acid your body makes, on the reasonable-sounding theory that the less stomach acid you have, the less acid can wash up into the esophagus, and the less heartburn you’ll get. The only problem with this clever plan is that we actually need our stomach acid to break down food and keep the whole digestive system moving smoothly. 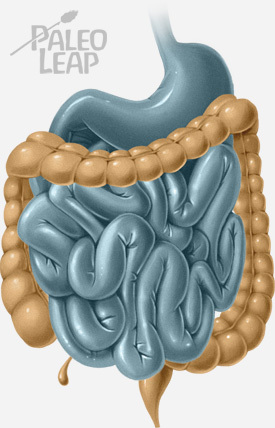 We’re supposed to have acid in our stomachs – that’s how we were designed to digest things! Stomach acid does way does more than just cause heartburn, and chronically suppressing a crucial part of our digestive apparatus isn’t necessarily safe or healthy. 1. They don’t always work as advertised. About one third of patients suspected of having gastro-esophageal reflux disease (GERD) don’t respond to PPIs. And per another article about 65% of patients with non-ulcer dyspepsia remained symptomatic after taking PPIs. The second study explains that GERD and non-ulcer dyspepsia are two of the most common causes of heartburn, so this isn’t exactly a flawless track record! Of course, if they don’t help a third of patients, then they do help two-thirds of patients, so it’s not like they’re useless, but they’re definitely not the answer for everyone. And on top of that, other studies have found that PPIs are frequently prescribed for the wrong problems, or at doses higher than necessary to actually resolve the problem. For example, this study explains that PPIs are often prescribed for preventing stress ulcers – even though there’s little to no evidence that they help. As this study found, when people go off PPIs, their stomach can sometimes go a little nuts and start cranking out the acid like crazy – in healthy volunteers, going on PPIs for 8 weeks and then quitting actually induced acid reflux symptoms in people who had been fine before. That’s concerning because it suggests getting off PPIs could be very difficult – which is especially troubling in light of the over-prescription noted above. It’s normal and very healthy to have bacteria in your large intestine, but it’s not normal or healthy to have them in the small intestine. Having bacteria in the small intestine can cause chronic diarrhea, nutrient malabsorption, weight loss, and other GI symptoms. This meta-analysis explains how PPIs may increase the risk of Small Intestinal Bacterial Overgrowth (SIBO) – that’s the growth of gut bacteria in the small intestine where they don’t belong. In another approach, this study analyzed the gut biome of people who used PPIs and people who didn’t. PPI use was associated with much lower diversity in the gut bacteria, bacteria in the wrong place (specifically, ones that belong in your mouth hanging out in your gut), and an increase in undesirable species, most notably E. coli. Considering the importance of the gut for overall health, this really isn’t great news for PPIs. If you don’t know what C. diff is, lucky you! It’s a bacterial infection that people often get after taking antibiotics – it causes diarrhea, abdominal cramping, and other GI issues. This meta-analysis and this one both found the same thing: C. Diff infections were significantly associated with PPIs, both in adults and in children. 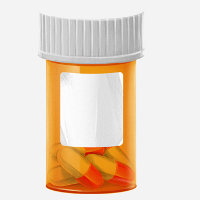 People who took PPIs also had a greater risk of recurring C. Diff infections. When combined with antibiotics, which already increase the risk of C. Diff, PPIs increase risk even more. A clinical trial in human subjects confirmed that when people took PPIs, they had changes in their gut biome that predisposed them to developing C. Diff. That’s really bad news for anyone who wants to keep their gut healthy. Deficiency of vitamin B12 causes weakness, fatigue, loss of appetite, constipation, and anemia. It can also cause all kinds of weird neurological symptoms, from memory issues to a tingling/numb feeling in the hands and feet. Long-term use of PPIs is associated with vitamin B12 deficiency in some studies – and people who just naturally have lower levels of stomach acid are also prone to the same problem. The explanation given by the researchers who do these studies isn’t that people who take PPIs aren’t eating enough vitamin B12. They’re eating plenty (most non-vegans in the US get more than enough B12 to avoid deficiency). But they can’t absorb it because their digestive process is too weak. Other research – like this study and this one – has found that PPI use is associated with gastric cancer. Preventing the secretion of stomach acid irritates the stomach lining and increases levels of a hormone called gastrin, which may explain the relationship; messing with the gut microbiome doesn’t help, either. Backing up the individual studies, a meta-analysis concluded that long-term PPI use was associated with the development of fundic gland polyps (cell masses in the stomach that increase the risk of gastric cancer) and that there’s reason to believe it’s also associated with the development of gastric cancer. While keeping this all in perspective – tons of people are on PPIs, very few of them get gastric cancer, so the increase in risk doesn’t make it a common outcome, just more likely – this isn’t an outcome anyone really wants. But what if my heartburn is really bad? People with acid reflux who respond well to PPIs should use them for a short period and then try weaning off of them once symptoms are under control. If symptoms come back, patients should look into ambulatory esophageal pH/impedance monitoring to see whether they really need PPIs or whether they could try a different solution. Patients with Barrett’s esophagus or people taking NSAIDs (that’s painkillers like ibuprofen) that put them at high risk of ulcer-related bleeding should take a long-term PPI at the lowest effective dose. If you’re interested in the Paleo take on heartburn, check out some more here and here! Have you ever taken a PPI? How did it go? Let us know on Facebook or Twitter!